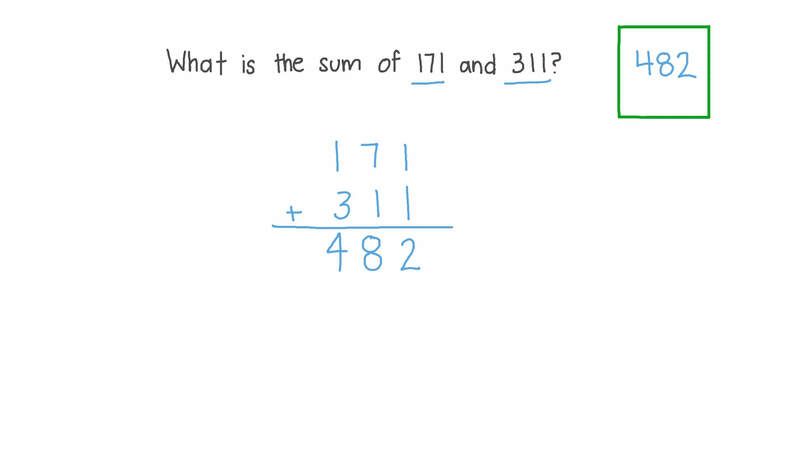 In this lesson, we will learn how to add two three-digit numbers. 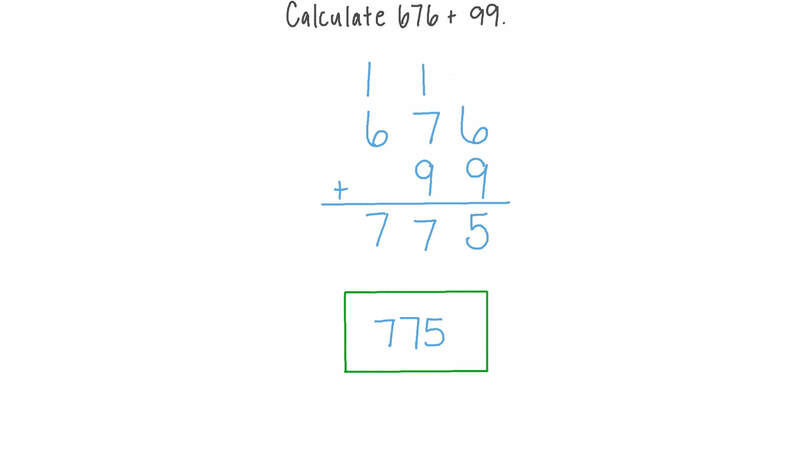 Calculate 6 7 6 + 9 9 . What is the sum of 171 and 311? 6 4 7 + 2 8 4 = . If a man who weighs 60 kg is riding a donkey that weighs 149 kg, what is the total of their weights? 3 2 0 + 4 1 2 = . 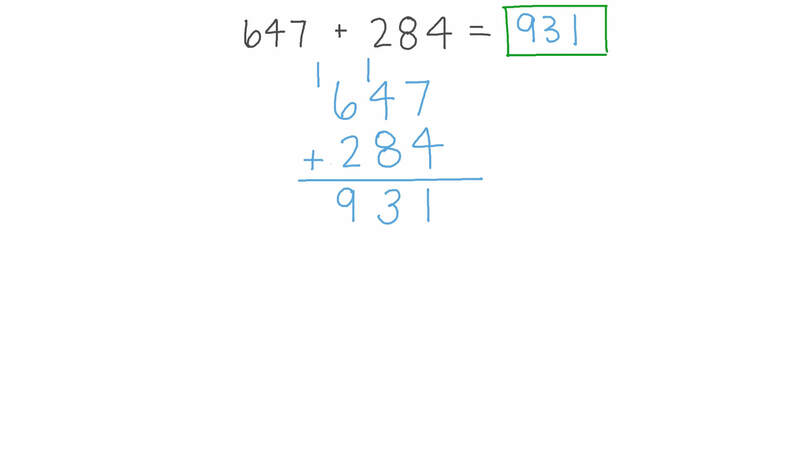 Which of the following is equal to 3 3 6 + 3 5 0 ?